The Asian Wrestling Championships kicked off in Xi’an, China on April 23. From the team of athletes representing Mongolia, U.Batzul has won the silver medal. Of the 9 athletes that participated in the Abu Dhabi World Masters Jiu Jitsu Championship, two athletes won silver medals. Opening of the first comprehensive disaster protection training, being organized by the Governor’s Office of the Capital City and National Emergency Management Agency (NEMA) in the capital city, took place at the Sukhbaatar square today on April 24. As April 23 marks the World Book Day, a group of officials led by Prime Minister U.Khurelsukh became acquainted with the operations of the National Library of Mongolia. B.Khulan competed in the 70 kg weight class of the World Youth Jiu Jitsu Championship, becoming the world champion by winning the gold medal. The girls’ matches of the youth championship took place on April 21. The Asian Wrestling Championships will be kicking off in Xi’an, China today on April 23. In aims of giving support to the operations of the ‘Whole Liver-Mongolia’ programme being implemented in Mongolia, WHO Western Pacific Region epidemiologist Lynn Vi Lee and WHO Collaborating Centre for Viral Hepatitis epidemiologist Nicole Romero worked in Ulaanbaatar between April 11-18. During the week of April 15, 2019 to April 19, 2019, MNT480,644,498.83 worth of securities were traded through 5 trading sessions on the MSE. From the Abu Dhabi World Jiu Jitsu Festival that kicked off on April 20, Z.Tselmuunee won the bronze medal from the girls’ 22 kg, and B.Yesukhei won the silver medal from the boys’ 30 kg. The Asian-Pacific Judo Championships kicked off in Fujairah, UAE on April 20, with Mongolian judo athletes winning 2 gold, 2 silver and 3 bronze medals from the championship. A total of 286 judo athletes are representing 39 countries in the championship. Yomiuri Shimbun journalist Shingo Sugime is writing a special feature on the projects being implemented by the Asian Development Bank in Asia. 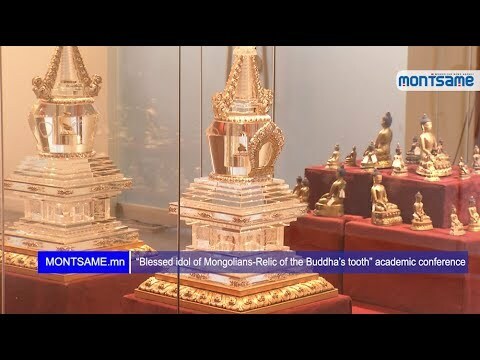 Thus, he has arrived in Mongolia to become acquainted with the Fifth Health Sector Development Project, in which frames, he is visiting the National Blood Center. Within the goal to bring bilateral trade turnover to USD 10 billion by 2020, the decision was made to jointly organize the Mongolia-China Expo biannually. Thus, the Ministry of Food, Agriculture and Light Industry has organized the expo in Hohhot, China in 2015 and 2017. Wind speed will be 18-20 m/sec, reaching 24 m/sec at some times in Bulgan, Selenge, Tuv, Khentii, eastern Arkhangai, Uvurkhangai, Dundgovi and northern Dornod today on April 19. In partnership with JICA, the National Emergency Management Agency (NEMA) is implementing the ‘Project for Strengthening the National Capacity of Earthquake Disaster Protection and Prevention in Mongolia’. At the invitation of the Vice President of Denver Zoological Foundation Graeme Patterson, Governor of Dornogobi aimag T.Enkhtuvshin, Chairman of the Citizens’ Representative Khural of the aimag S.Tumenbayar and officials of Ikh Nart Nature Reserve visited Denver, USA. In partnership with the Denver Zoological Foundation, the Mongolian Academy of Sciences has been implementing a long-term project at the nature reserve since 2001. In partnership with the EU Chemical, Biological, Radiological and Nuclear Risk Mitigation Centers of Excellence Initiative, the National Committee on Biosafety at the Ministry of Environment and Tourism has been implementing the P53 regional project on organizing profession training to upgrade legal environment of the national law on biosafety and bioprotection in Central Asian countries since 2017. Fazza Para Archery World Ranking Tournament - 2019 took place in Dubai, UAE on April 10-16. Over 200 athletes of 50 countries competed in the tournament. The World Professional Jiu Jitsu Championship 2019 will be taking place in Abu Dhabi, UAE on April 20-26.